The co-writer of Visceral’s now re-focused Star Wars project has spoken about the original vision for the game. 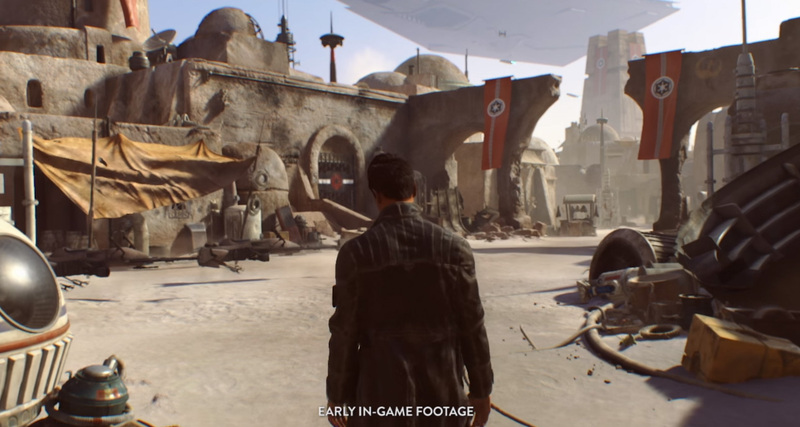 Visceral’s Star Wars project is not dead after EA’s shutting down of the studio, its focus has been changed. EA Vancouver will mainly handle the game’s development, along with other EA studios. However, the game’s co-writer has spoken fondly of the original treatment of the game. Todd Stashwick, also known for his acting work in 12 Monkeys, was co-writing the game with Amy Hennig. Earlier today, Stashwick tweeted about his time on the project. After the recent announcement of Visceral’s closure, EA announced they were changing the focus of the game. Hennig and Stashwick originally envisioned the game to be linear, with a focus on storytelling much like the Uncharted series, which the two had worked on together previously. EA Vancouver will be changing that “to be a broader experience that allows for more variety and player agency”. It’s currently unknown whether Hennig will continue to be involved with the project, though IGN reports EA are “in discussions” with her. The company is “continuing to use a great deal of the work that has been done to date”, explaining that the “assets of the game that [have] already been built” are staying as the new game’s foundations. Visceral Games was best-known for their work on the Dead Space series.